As CEO, Jeff holds the primary responsibility for charting the strategic direction of the company his parents founded, while fulfilling its mission to help other family businesses succeed. He also oversees Ahola’s sales and marketing efforts, a role he has held since 1984 when he joined the family business. Under Jeff’s leadership, the company has secured its marketplace position as a top provider of family-focused payroll and human capital management systems. Jeff has a keen interest in family enterprises, a passion fueled in the early 1980s when he attended family business study groups in Cleveland, Ohio, led by the late Dr. Leon A. Danco, considered the founder of this field. Jeff himself led retreats for the former National Center for Family Business. More recently, he participated in the award-winning, internationally accredited executive MBA program for Families in Business at Kennesaw State University. In addition, he earned Family Business Advisor certification from the Galliard Family Business Advisor Institute. 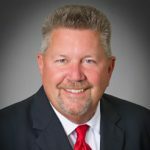 Jeff’s earlier educational credentials include a bachelor’s in marketing and information systems from The Ohio State University and a master’s in finance from Pepperdine University. His technical proficiency encompasses COBOL, an early programming language he picked up at his father’s pioneering computer training school. He holds professional affiliations with the Family Firm Institute, Family Enterprise USA, and Attorneys for Family-Held Enterprises, among other organizations. Jeff began his career at Progressive Insurance Co., where he honed his computer, management and sales skills in various positions in Cleveland, Los Angeles and Atlanta. The rich learning experience during his five years at Progressive, a company under strong family leadership, helped nudge Jeff back to his roots at Ahola, where he and his siblings had cut their teeth as youngsters cleaning the office on weekends for their parents’ fledgling enterprise. Jeff’s commitment to his family’s company has strengthened over the years and is guided by his personal philosophy of honoring his parents’ vision and perpetuating their legacy.